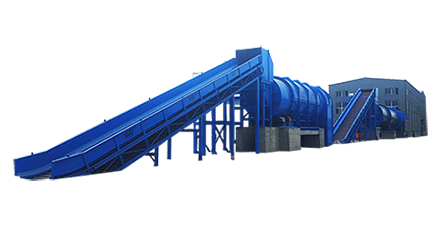 Drum Screen is usually used behind high consistency hydrapulper or hydrapurger to screen out various large light impurities such as plastic, rubber, sand, metal sheet and film in waste paper pulp and heavy impurities. 1. lubricate the equipment regularly , add grease between gears and bearings once a month, clean and change the oil once a year. 2. usually check the bearing seal, replace the seal in time when found oil leakage . 3. often check the sprinkler pipe, dredging the block timely. 4. comprehensive cleaning and inspection within two years. Drum screen is mainly composed of sieve drum, box body, gear reduction motor and water spray pipe system. There are spiral blades in the sieve drum, which have a conveying effect on impurities. The light impurities containing the slurry enter the sieve drum from the slurry inlet. Under the action of gravity, the good slurry is discharged from the fine slurry opening through the sieve holes, and the light impurities are transported from the spiral blades to the tail of the sieve drum. The water spray system is installed on both sides of the sieve drum to clean the slurry in impurities on the one hand, on the other hand flush the sieve drum to keep the sieve hole unobstructed. 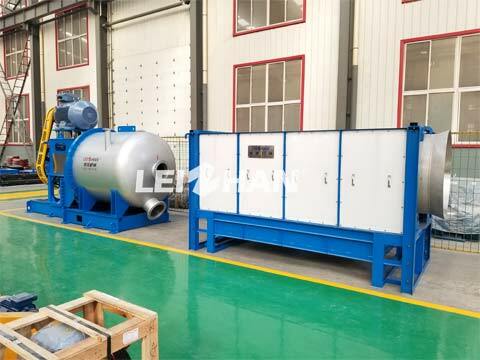 If you want to know more details, welcome to consult: leizhanpulper@gmail.com.